Hepatitis C affects your liver the most, but it can cause problems with other body parts, too, including your skin. Bumps, rashes, and itchy spots may be the first signs you notice of this infection. Most people who’ve been infected with the hepatitis C virus go for a long time before they know they have it. That’s because there usually aren’t any symptoms for years. By the time you notice changes on your skin, that’s a sign the virus has already damaged your liver. If you notice any of these skin problems, see your doctor. Taking medicine to treat the virus may clear your skin and prevent other health problems, too. If you’ve already been diagnosed with hep C, your doctor will need to know about any health problems the virus or its treatments are causing. Ascites is a fluid buildup in your belly that comes with bad liver scarring called cirrhosis. Damage to your liver results in high blood pressure in your liver veins along with rapid weight gain, trouble breathing, and easy bruising. Your doctor will probably tell you to try a low-salt diet and prescribe medications called diuretics that help your body get rid of water. If that doesn’t help, there are procedures to remove the fluid. If nothing helps, you may need a liver transplant. Your liver makes the things that help your blood clot. When it’s damaged, it can’t make enough. You might start to bleed easily and have trouble stopping it. Or you might bruise easily. Tell your dentist or other doctors before you have any medical procedure. Treat cuts with pressure bandages and get to the doctor right away. In an emergency, you’ll get platelets to replace what you lost and Vitamin K to help your blood clot. Fluid buildup in your body can also cause your legs, feet, or ankles to swell. It’s less likely, but your hands and face could swell as well. As with ascites, your doctor will probably tell you to try a low-salt diet and take medications called diuretics to help your body get rid of water. The toxins that build up in your blood and cause jaundice can also make you itch. You may feel it in just your hands and feet or all over your body. Some people say that it feels like their organs itch. Treatments for hep C can cause dry, itchy skin, too. Talk to your doctor if the problem is very bad. Some prescription medicines can help. Oatmeal baths, moisturizers, antihistamines, and cortisone creams can bring relief, too. And if you smoke, quitting can ease some of your itching. If you have it, you may notice that your skin and the whites of your eyes look yellowish. This happens when your liver doesn’t work well enough to break down a chemical called bilirubin. If too much of it builds up in your blood, your skin can turn yellow. 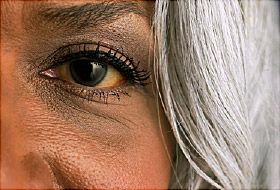 Jaundice can show up soon after you’re infected with hepatitis C. It can also appear after years of the infection and cirrhosis. See your doctor if you think you have it. To treat the condition, you’ll need to treat the hep C infection and liver damage that’s causing it. This disease appears as purplish bumps that usually start on the wrist but can pop up anywhere. It can cause lacy-looking patches or sores inside your mouth, too. It’s not clear what causes it, but many people with lichen planus also have hepatitis C.
If you have it in your mouth, avoid things that can make it worse, including tobacco, citrus fruits, and tomatoes. Brush your teeth twice a day and floss daily. Get checked for mouth cancer at least once a year. This rare skin condition may be an early sign of a hepatitis C infection. It causes skin patches on the feet or hands that look like psoriasis. The cause isn’t clear, but zinc supplements seem to clear it up quickly. This condition causes painful blisters and fragile skin that get worse in the sunshine. It happens when proteins called porphyrins build up in your liver, then move into your bloodstream and make their way to your skin. Regularly scheduled procedures to remove blood from your body, called phlebotomies. This can eventually bring your iron and porphyrin levels to normal. These red or purple blotches can be as small as a pinhead or as big as half an inch. They can hurt or itch. For people with hepatitis C, the rash is usually a symptom of cryoglobulinemia. It’s a blood vessel problem that happens when proteins in your blood stick together in cold weather. The clumps build up in small and medium vessels, which block blood flow. Medication that targets the hep C virus can take care of the problem. If you have lots of purpura or other issues from cryoglobulinemia, your doctor may give you steroid medicine, too. If your fingers turn white or blue in the cold, that’s a sign you have this condition. Your toes, nose, or ears can be affected, too. It happens when blood vessels spasm in the cold, and blood flow slows. You may feel pain, numbness, and tingling. Stay out of the cold if you can. If your hands or feet do get chilled, warm them up as soon as you can. Stop smoking, and try to avoid stress. Ask your doctor if medication could give some relief. The erectile dysfunction drugs sildenafil (Viagra) and tadalafil (Cialis) can help. These groups of dilated blood vessels near the surface of your skin are also called spider nevi. They can show up anywhere on your body but most often appear on your face and trunk. They disappear when you push on them and come back when you stop. They aren’t harmful and don’t require treatment. This condition, in which your nails turn an opaque white with pink or reddish brown lines at the top, is linked to cirrhosis, among other diseases. These itchy raised welts, also known as hives, often show up with hepatitis. Unlike an allergic reaction, they may last longer than a few hours and leave behind a brown stain. Doctors treat hives with antihistamines. Rash. A dry, itchy rash on your hands and feet. Your doctor will call it pruritus. Alopecia. Hair loss from hepatitis C treatment is rare, but it has happened. The Journal of Investigative Dermatology: Hepatitis C treatment and alopecia totalis.